The Daily Grill – 1367 | The Daily Grill !!! Le Pear is disappointed that no one calls him ‘The Fruit of Knowledge’. Identify the product. Kwality Wall’s Fruttare is a delicious ice-candy made from real fruit juice and pulp. 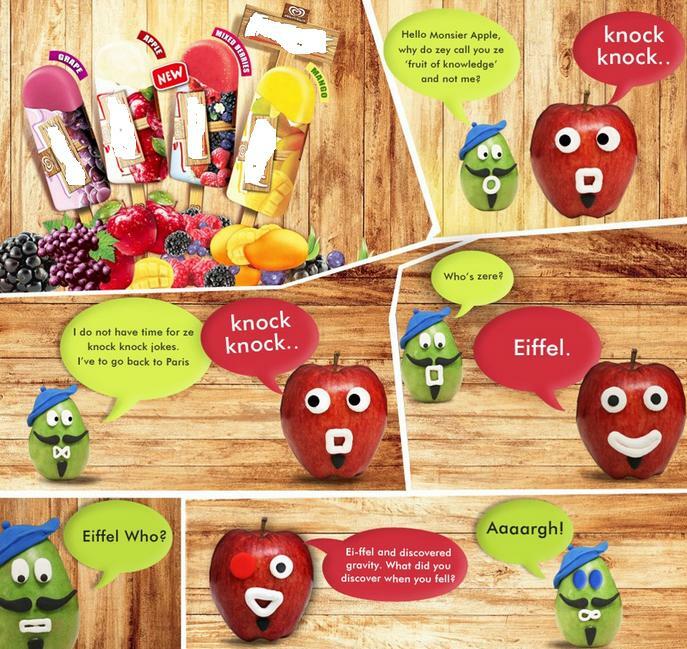 kwality walls fruttare – is mein fruit hain re. kwality walls Fruttare – iss mein fruit hain re.